1700 - 2350 Sq. Ft.
Needless to say, change is also important and a good change can surely pique your standard of living. 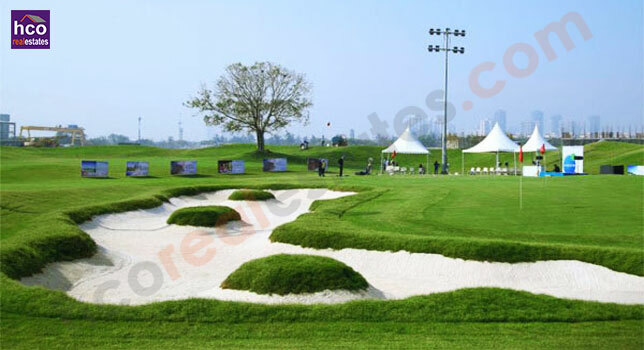 So Godrej Properties is offering its premium home space ”Godrej Golf Links apartments” in Greater Noida. A home is a heaven but a home by such exceptional builder like Godrej Properties is a world inside, so are you ready to get a world’s class address? This is an opportunity to pique the lifestyle and thanks to the Godrej Properties whose robust approach has increased the presence of Greater Noida. This development is proud for all the modern families whose desires are ceaseless. Here intelligent developments, secure green zone, impressive designs, wide open area and more perks bring a classic lifestyle. Along with these, there are many more location’s benefits that you get when you are at Godrej Golf Links Villaments/Apartments Greater Noida. This is the time to unlock your desires and create your own pathway with Godrej Properties and experience the mind blowing address that addresses your desires in the most sort way.